1. Click on the Start button and click on the Control Panel Icon. 2. Click on the Fonts folder in the Control Panel display. 3. 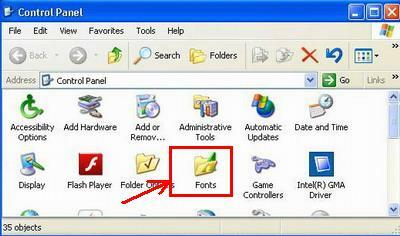 With the Font folder open, click on File and a drop-down menu will display with the option “Install New Font”. 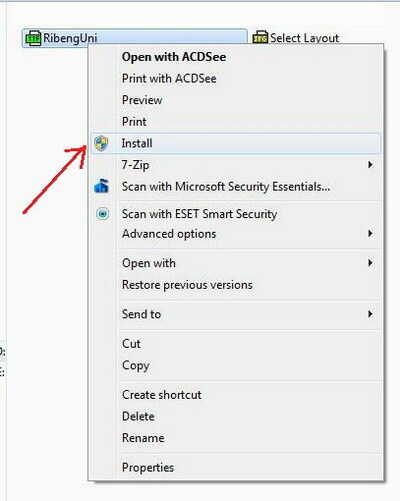 Click on the Install New Font option. 4. In the small Folders: box located in the bottom left-hand corner of the dialogue box, click on the folder where your font is located. 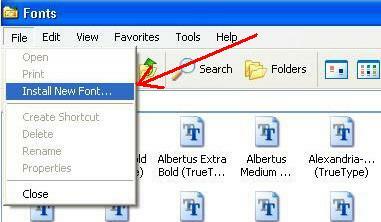 Make sure the Copy fonts to Fonts folder is checked. To install all of the fonts in the display, click the Select All button and then click OK.